To get an idea what any particular brand’s zeitgeist is, type the brand into a Google search box with auto suggest enabled. You will need to launch a fresh browser app that hasn’t been used before, otherwise Google’s auto suggest feature will blend your previous related search queries into their suggestions. 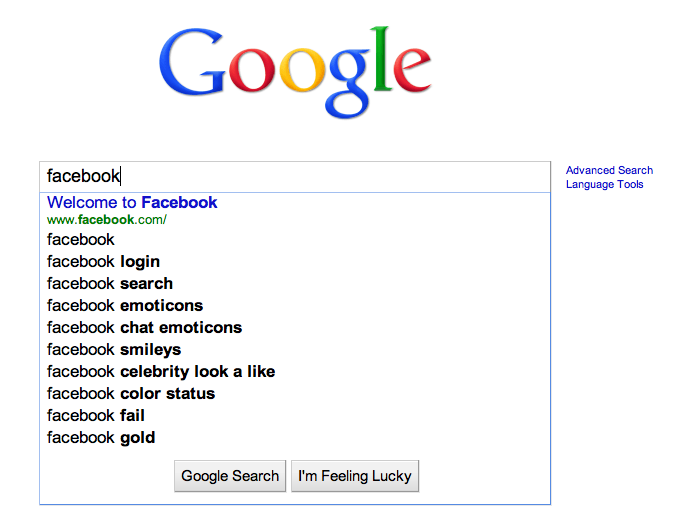 Google updates its auto suggest regularly to provide searchers with the latest most relevant search suggestions. The following search query for BP illustrates their brand’s zeitgeist as the BP Deepwater Horizon oil well continues to spew millions of barrels of oil into the Gulf of Mexico. 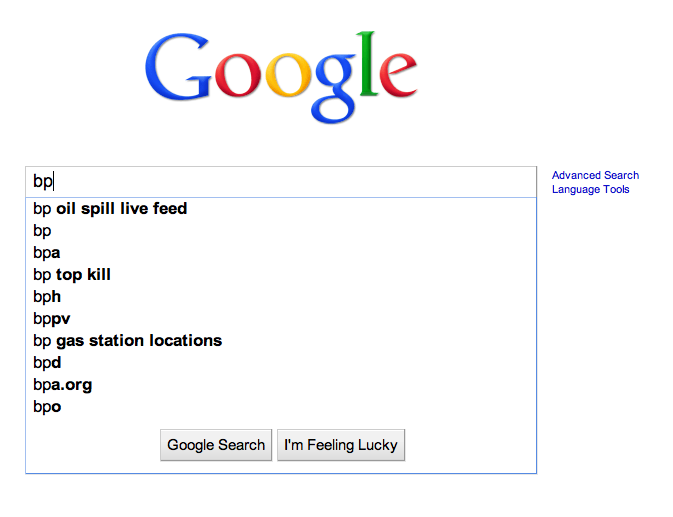 This entry was posted on May 26, 2010 at 2:03 pm and is filed under Brand Sentiment Tool, Google Auto Suggest. You can follow any responses to this entry through the RSS 2.0 feed. You can leave a response, or trackback from your own site.